The 2016 Libertarian National Convention kicked off yesterday in Orlando, Florida. The real fun started this morning, however, as the delegates debated the party platform and prepared to nominate their candidate for President. Unlike the two major parties, the Libertarian Party actually chooses their Presidential candidate at the convention. There are no primaries, so delegates are free to vote for whomever they choose. The main platform debate was this morning, but the Presidential nominations are scheduled to begin at around 3:00 PM Eastern time. 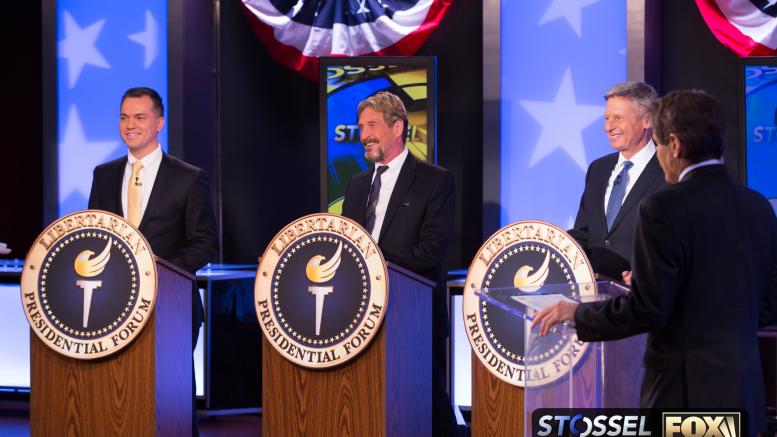 There will be a nationally televised debate tonight at 8:00 PM. Finally, the nomination voting will take place tomorrow morning at around 10:00 AM. You can find the full schedule here. This is likely one of the most-watched Libertarian Conventions in history, as many people are holding out hope that the Libertarian Party can offer a viable alternative to Donald Trump and Hillary Clinton. There are three major candidates for the LP nomination: Gary Johnson, Austin Petersen, and Marc Allan Feldman.